When I was a kid in the 70s in Melbourne, Florida, there was a house where the owners painted huge murals of 19th century nautical scenes. The entire house was the painter’s canvas. I cherished the times we drove by that house. I thought it was beautiful. And you never knew when it would get repainted into a new battle scene. I remember hearing that the neighbors hated it and people complained. And then one day we drove by and it was all white with green shutters. I don’t know if the owners moved away or were pressured to conform. Q&A was honored to be recognized (twice!) in HOW Magazine’s September/October 2011 Self-Promotion Design Annual. Only 95 designs were featured, which included our new stationery suite (unveiled in January 2011) along with our oversized promo tabloid “mattie”. HOW Magazine is a design magazine distributed bi-monthly providing businesses in the design industry with technology tips, new design information and profiles of professionals who are influencing design. 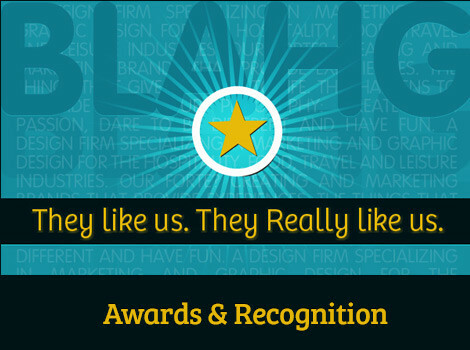 Recognition: Q&A won three W3 Awards. I’m a big fan of agrarian Marxism. Not for any ideological reasons (though I have nothing against the workers’ collective). I’m also a huge fan of colonialism. I have to be. My admiration is, at root, selfishness defined. Without the contradiction and hostility between those two movements of history, I would not exist. No. Really. As anybody who is a Facebook friend of ours will know Wendy and I spend an unnatural amount of time at a Capitol Hill café called the Joe Bar. It’s around the corner from our house. While staggering distance to home is always important for a good hangout, that’s not why we go there — two, three times a day. (Foursquare still reports that neither Wendy or I are Mayor of Joe Bar. Which is statistically impossible. Except the Joe Bar inspires loyalty like no other café in town.) Across the street from the Harvard Exit movie theater in the landmark Loveless building, the Joe Bar has evolved into a crucial neighborhood nexus. 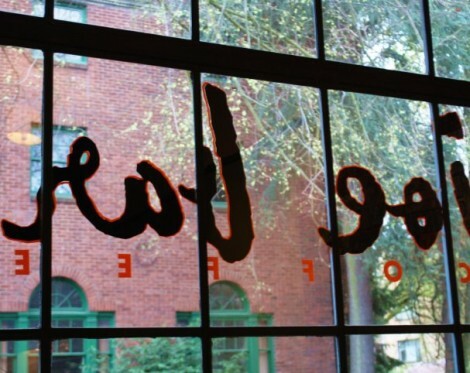 Seattle’s Inaugural Design Festival took place September 16-25. It was an amazing undertaking that included lectures, tours, exhibits, films and street installations. 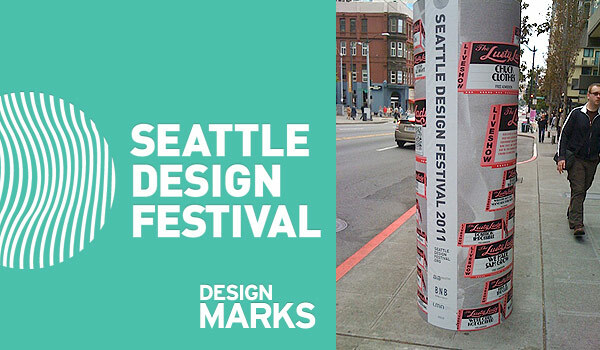 I was part of the AIGA Design Festival committee that concepted the idea of Design Marks—a trail of 8-foot tall location markers where viewers experienced how the design of Seattle’s urban landmarks has influenced the city’s culture, and how that culture has, in turn, influenced design. Twenty-five of the city’s leading design firms were invited to design an individual marker as well as a 30-90 second companion video. Fisher our office dog has been warning us for years of the coming Squirrelmagedon. But did we listen? No.